Reloaded 23/May/2015 - Beehive Candy may at times feel, less a labour of love and more a chore, when it comes to replacing our many lost files. However when we are reminded of fantastic performances such as this one and the musical diversity it adds to this site, it does make the whole replacement thing, seem a far more worthwhile project. A fine and funky concert complete with the full power house of rhythm is captured here on this recording of Tower Of Power and fit for 'Bumpsters' everywhere! Recorded with an appreciative audience at Ultrasonic Studios Hempstead, NY, USA back on May 14th, 1974 this is a superb example of the band who continue to impress and perform today. What a way to start this round up of some fine music that has come our way in the last few days. Have you ever listened to a song and half way through your already wanting to listen to it again? Tamara Williamson had that very effect on me this week. I was also puzzled by the fact I had never heard any of her material before, simply because it is just so good! Much as some in the music industry berated the emergence of file sharing and downloading, the reality is artist's like Tamara can be discovered anywhere around the world with just a little exposure. Well Beehive Candy are happy to assist when music this good comes our way. 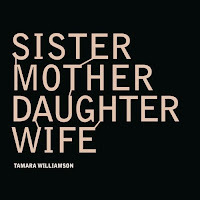 Tamara had this to say regarding her latest album, 'Sister, Mother, Daughter, Wife' - The importance of this album is paramount for me as it helped me work through some of the tougher ideas I've faced and helped me start living outside of the bubble I had created for myself. The Walkabouts - Live in Holland 2005. Reloaded 20/May/2015 - I just wanted to highlight this concert and of course the band again. Call me slow on picking up on things, but I only recently discovered that they also had a side project 'Chris and Carla' and there is another source of great music to listen too. Superb band I thoroughly recommend checking them out, if you have not yet done so. I was trying to remember when and how I first came across Seattle's The Walkabouts and after I had just about given up and was going to introduce this concert by saying I could not remember how and when, a little light came on somewhere in the memory as I recalled quite clearly that one of their songs had been included on an Uncut magazine sampler CD, some years ago, (and for the record the promotion worked as I went on to buy many of their albums). A new feature on Beehive Candy - 'Quality Not Quantity - A Few Good Ones' is where we let the music do most of the talking (or singing, strumming, playing). This feature will help us provide as many artists whose music we like and have been bought to our attention, a feature on Beehive Candy. You can take it as read, this is in our very, very humble opinion, music worth a serious listen! Liz Brennan - Although the songs have been around for a while, we are told that the 'Expecting To Fly' EP is getting another well deserved release through Demented Pop Recordings. Take note! This is Tom Waits performing live at The Civic Centre, Akron, Ohio, back on Sunday, August 13th 2006. I am not certain if the source of this recording is taken directly from an FM broadcast, however it is a probable assumption as the final track ends without a smooth fade suggesting the radio announcer may have been cut off in their prime. 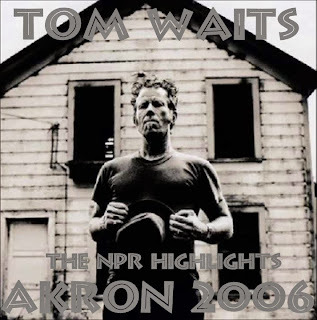 Whatever the recordings history, this is a very fine quality recording of Tom Waits in concert in a tour that showcased some of the songs from the forthcoming November 2006 album release 'Brawlers, Bawlers & Bastards', that said this edited recording only featured one song 'Bottom of the World' from that album. Although the NPR broadcast was only part of the show, I have read elsewhere that the featured tracks were by far the best performed ones at this gig. Reloaded 18/May/2015 - Yep, fifteen years ago more or less since Robert Plant toured extensively as Priory Of Brion around the UK. Featured again by request and also as audience matrix recordings go this is very good audio and the unique selection of songs just adds to this little piece of music history. 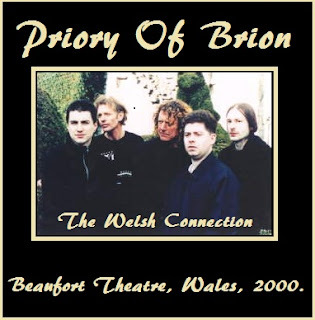 This is Robert Plant's touring band Priory Of Brion who undertook a good number of gigs between July 23rd 1999 through until Dec 21st 2000. This is the band live at The Beaufort Theatre, Ebbw Vale, Blaenau Gwent, Wales, back on the 11th February 2000. During this phase of live concerts the venues tended to be smaller in size and as can be heard from this concert recording the atmosphere was warm and included some fine banter with the audience. Reloaded 17/May/2015 - We have added a You Tube soundtrack of another Joan Jett and The Blackhearts gig recorded for broadcast at The Ritz, New York in January 1982. Set lists vary so both are worth a check out and both feature the feisty Joan Jett and on form Blackhearts. 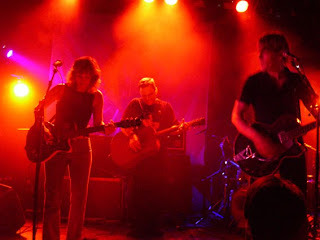 The New Jersey gig was originally featured on Beehive Candy in December 2007. Celebrating their 15th year as a rock radio station Philadelphia's WMMR featured a number of bands live in concert during 1982-83. WMMR is held in high esteem by its listening audience and by many rock music bands and musicians for its influential role and longevity in American rock radio. It is widely recognised as the leading rock station in one of the nation's largest markets. Joan Jett and the Blackhearts were one of those acts involved in the celebrations, and this is them recorded live in Emerald City for WMMR. Emerald city was the new name given to the old Latin Casino club in Cherry Hill, New Jersey, USA.